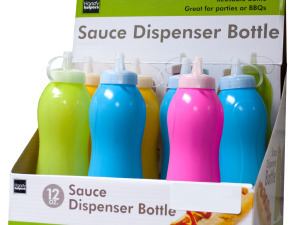 Perfect for dispensing ketchup, mustard and more, this Sauce Squeeze Bottle features a contoured plastic bottle with a tapered nozzle tip and an attached cap to seal in freshness. Comes in assorted colors. Measures approximately 7.25" tall x 2" in diameter. Comes loose with a UPC label. 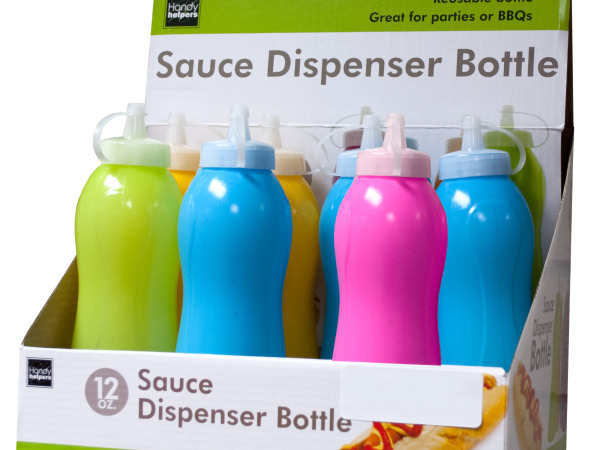 Countertop display comes with 12 pieces. — — — — 12 pcs.